The basics needed for any patient. Every patient needs some basic materials. 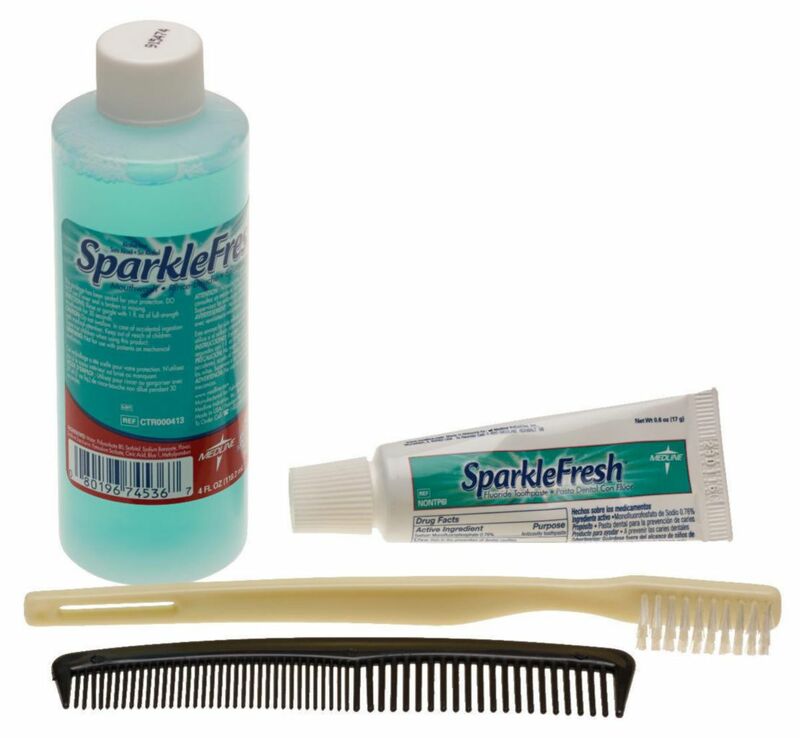 This simple personal care kit helps them feel comfortable knowing they have some basic grooming supplies at hand. 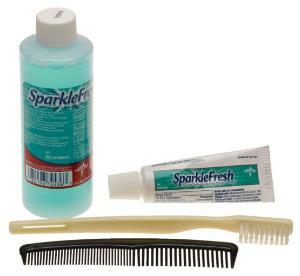 Each kit includes a comb, an individually wrapped toothbrush, a small tube of toothpaste, and a 4 oz. bottle of alcohol free mouthwash. All materials are supplier in a resealable bag with space to label with a patients name or room number. Note: Brands and colors may vary from the photo.